Tectiva ‘TE20’ panels were used at Taronga Zoo’s Centenary Theatre. Concept design: Tonkin Zulaikha Greer Architects. Developed design, documentation and delivery: Tanner Kibble Denton Architects. 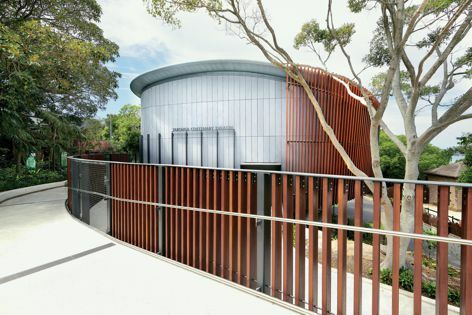 The new Centenary Theatre at Taronga Zoo, Sydney, built to show educational films on conservation, features a facade formed with Equitone’s Tectiva fibre-cement panels.